Computers have taken over the world. The most clichéd statement ever. But one just cannot overlook the absolute truth in it. All the functional activities of the human race run on machines. So it goes without saying, the hottest jobs at the moment will be the ones related to computer driven large industries. But to understand how the computer works and hence, work in unison with it, one has to understand the science behind it. 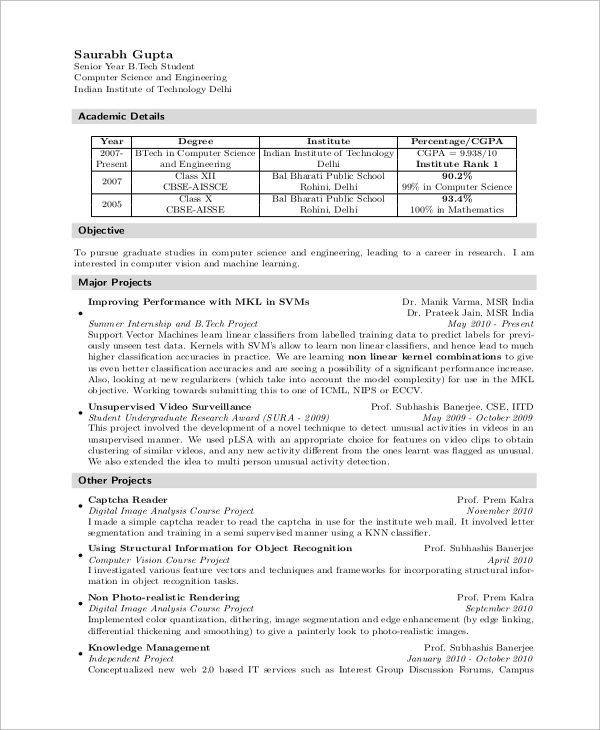 You may also see the Sample Resumes that will enable you to craft effective resumes that will kick start your career. 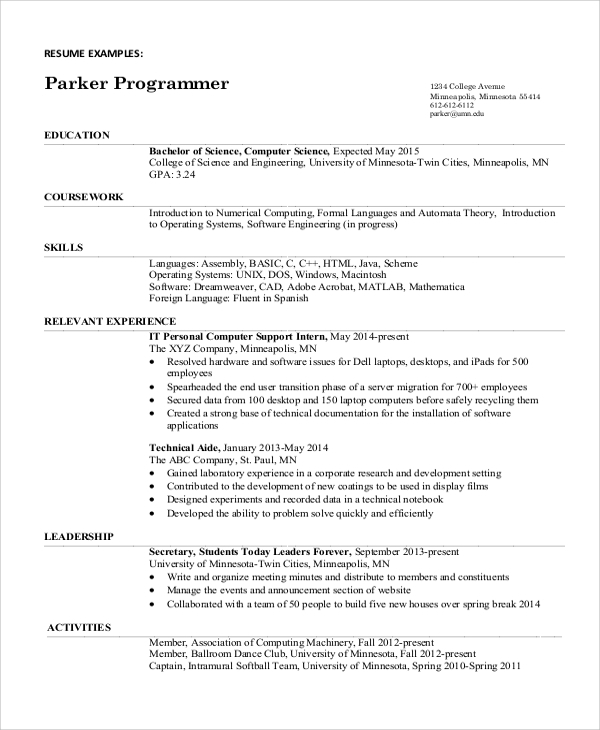 In a Computer Science Student Resume, the student who wishes to apply for a course needs to primarily focus on stating his/her skills and the programming languages/software/data structure he/she is fluent in. 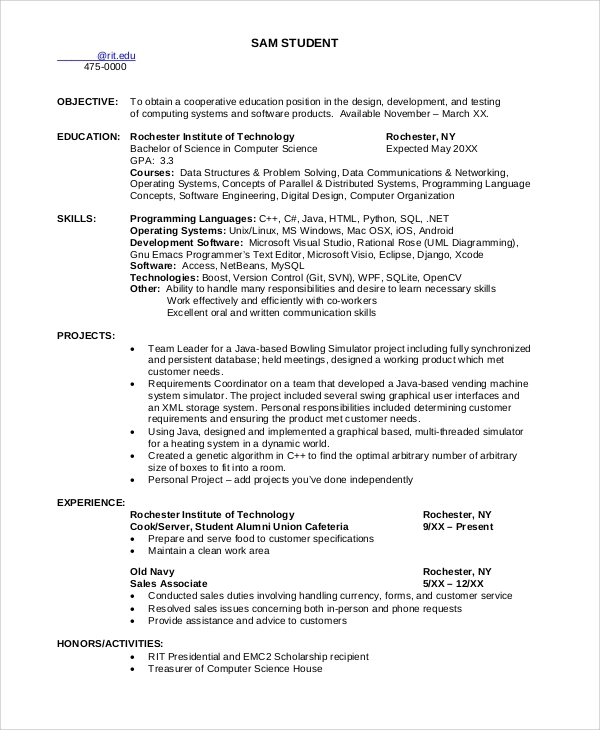 In a Computer Science Teacher Resume, the person applying for the post needs to specify his/her qualification, previous experience as a computer teacher and all prior knowledge regarding the subject. 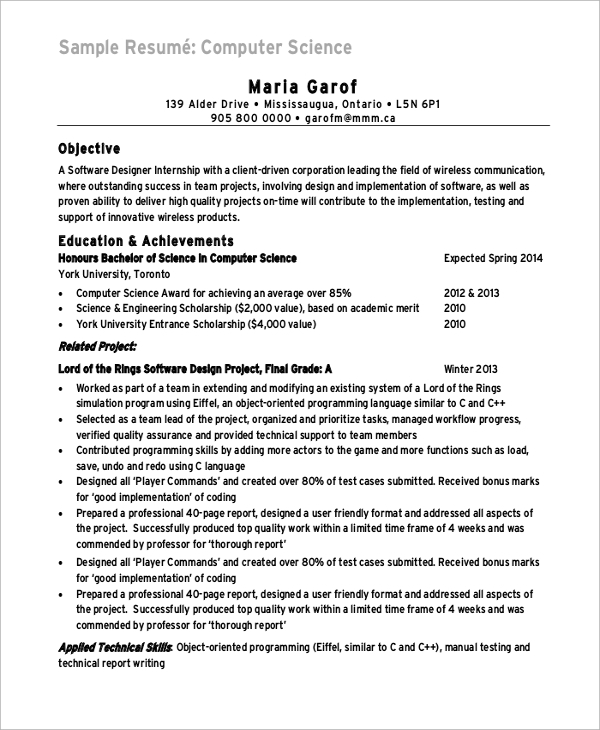 In a Computer Science Internship Resume, the concerned person needs to state their research interests, previous experience, awards and certificates( if any), and all technical skills regarding the subject. 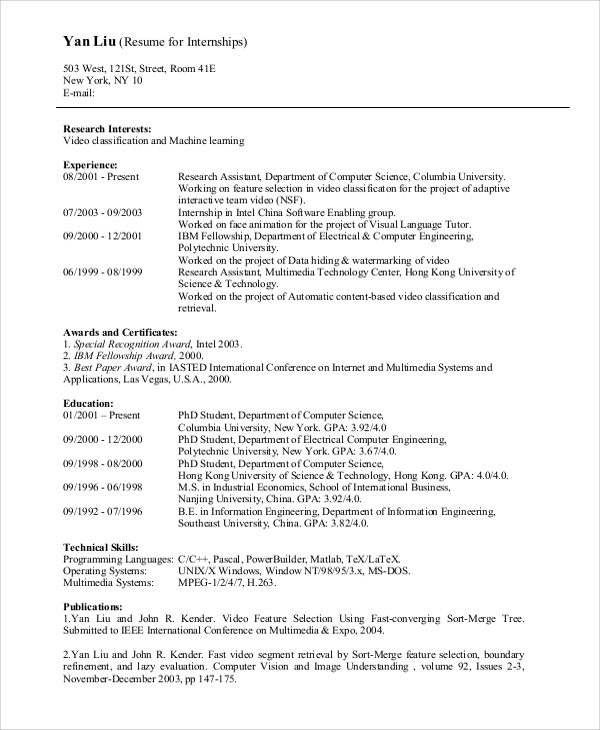 To be a successful candidate for computer science, it is widely renowned that it helps to have a comprehensive resume. It presents your skills (programming, data structure, etc.) previous work experience, your primary objectives, and your plans in a comprehensive yet useful manner. It goes without saying it also highlights your specialties (you can modify a resume accordingly to divert focus to that). But Resume Example can be a chore at times. Properly highlighting everything and trying to stand out from the rest can indeed be frustrating. Hence, the wisest option would be to follow a pre-made resume. 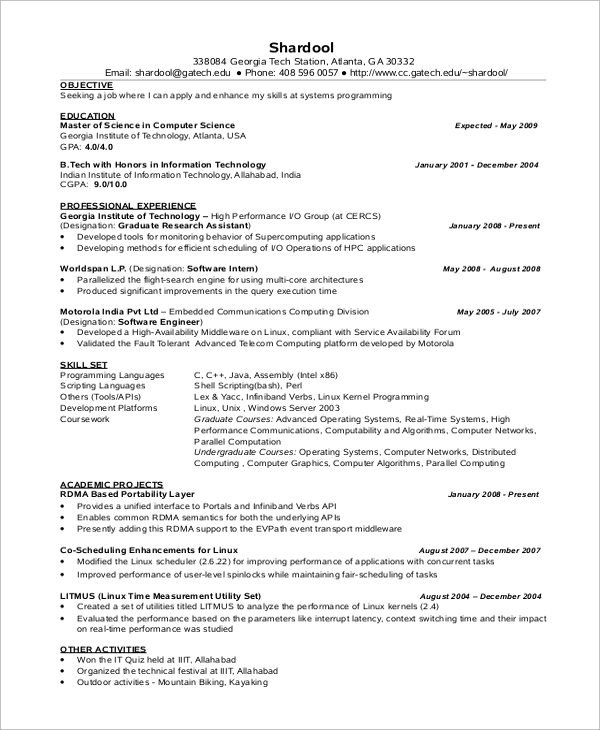 In a Computer Science Resume for Fresher, the person involved has to state all academic details, the person’s principal objective and all such the major projects he/she was involved in. 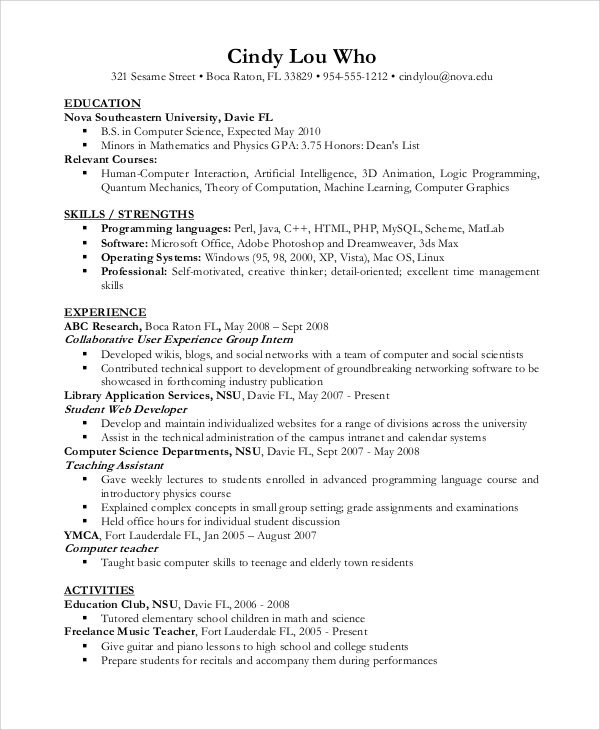 Quite similar to the others, for an Undergraduate Computer Science Resume, the person has to state his/her education, skills, and previous experience if any and all such previous activities. The target audience spans over a lot of people. 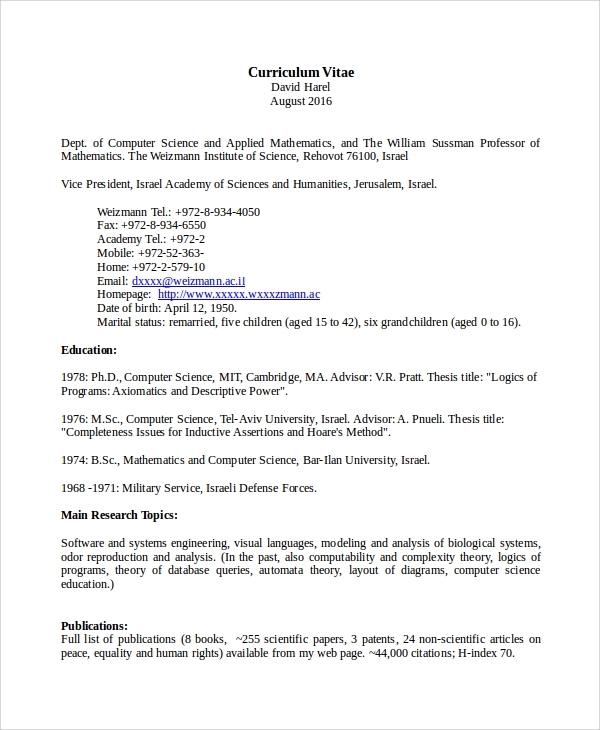 For starters, those planning to concentrate (major) in Computer Science can take a look. Also, Students interested in taking Linear Algebra from a Computer Science perspective might consider. Similarly, students in the Social Sciences and the Humanities who would like a solid introduction to applied Computer Science that is relevant to their concentrations can opt for this too. Finally, students in engineering and sciences who want a one-semester course on programming that’s relevant to their disciplines can consider. Saying that, this is very much relevant to teachers applying at a university or school. You can always save yourself that effort and choose from our very own range of pre-made Resume Samples. They are available in different formats that will suit your cause. They can be edited as well and altered. They’ll help you get a professional-looking resume without actually having to start from scratch.